Buffalo Tom (Bill Janovitz, Chris Colbourn and Tom Maginnis) formed at the University of Massachusetts at Amherst in 1984 - a breeding ground of post punk guitar bands like Dinosaur Jr. and Pixies. They thrived on college radio in the late 1980’s and toured extensively in Europe, the US, Australia and Japan. Big Red Letter Day was released 25 years ago in 1993. Their fourth album found them doing what they do very well indeed, but with more body and gloss to the production. The album was recorded in LA by The Robb Brothers who had just brought The Lemonheads to fame with their It’s A Shame About Ray album. Big Red Letter Day features numerous crowd favorites, in particular: "Sodajerk", “I’m Allowed”, “Treehouse” and “Late At Night.” The band was brought to new levels of fame when “Late At Night” was heavily featured in a pivotal scene of the short-lived mid-90s cult TV show "My So Called Life” which starred Claire Danes and Jared Leto. The song was not only in the episode, but the band was also shown performing it. This edition of the album was a 2018 US-only Record Store Day exclusive. 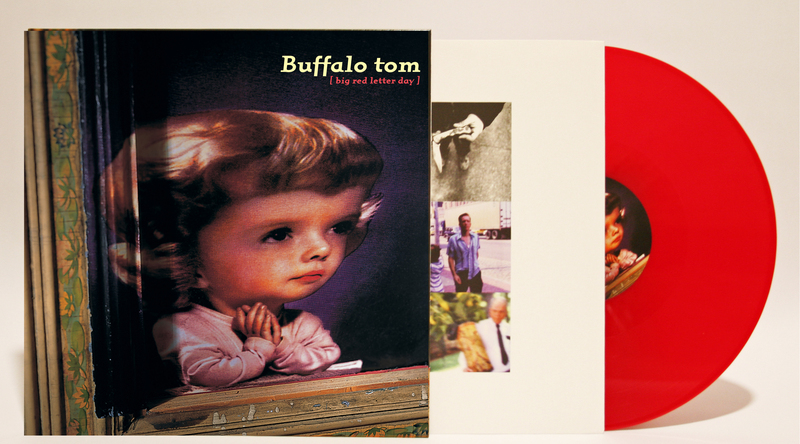 Marking the first US pressing, it was made on red vinyl of course and celebrates the 25th anniversary of its release.